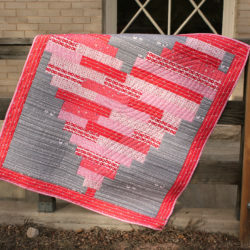 Our dear friend Nicole Neblett of Mama Love Quilts is sharing her quilting knowledge all this fall in the Spoonflower Greenhouse with a series of modern quilting workshops. 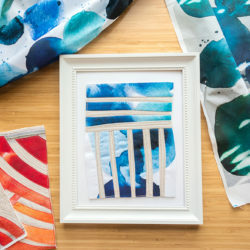 For those of you who can't make it to learn and stitch with us here at our North Carolina crafting and community space, Nicole is kindly offering her workshops in the form of simple block technique tutorials here on the Spoonflower blog. 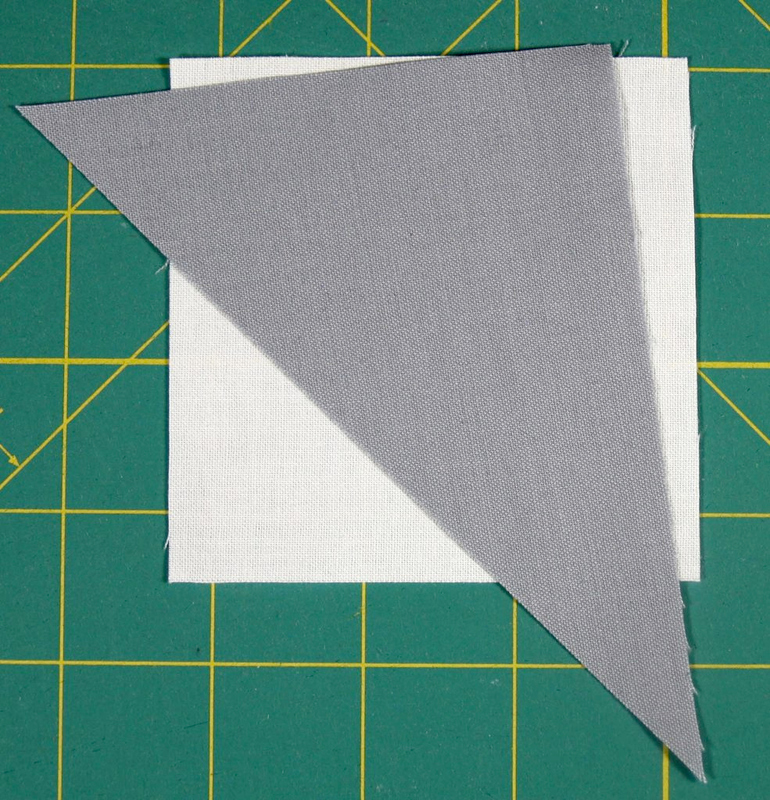 In today's tutorial, Nicole will demonstrate the modern half-square triangle block using the stitch and flip technique. Enjoy! 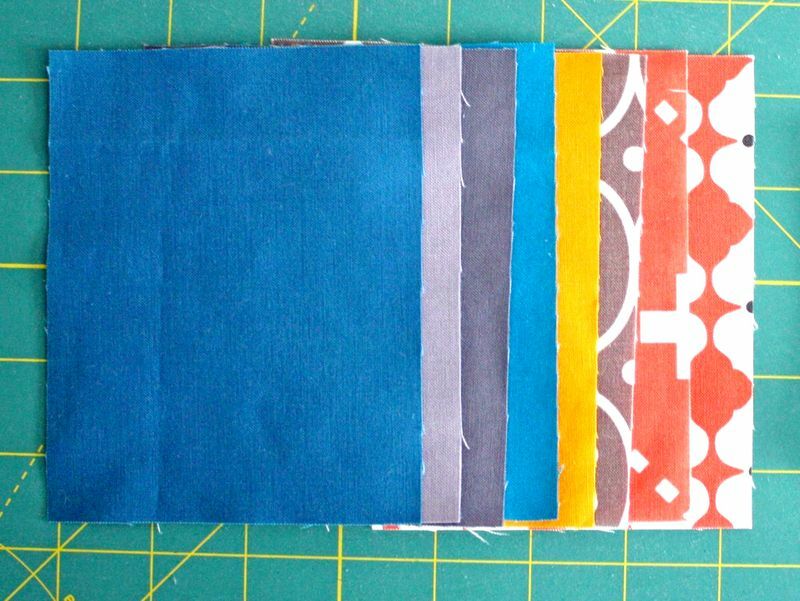 Cut print and/or solid fabrics into eight (8) 4" x 5" rectangles. Subcut print and/or solid rectangles once along the diagonal to get sixteen (16) half- rectangle triangles. Cut background fabric into sixteen (16) 3 ½" x 3 ½" squares. 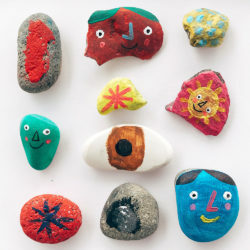 With right sides together, place a half-rectangle triangle on top of a background square at an angle. 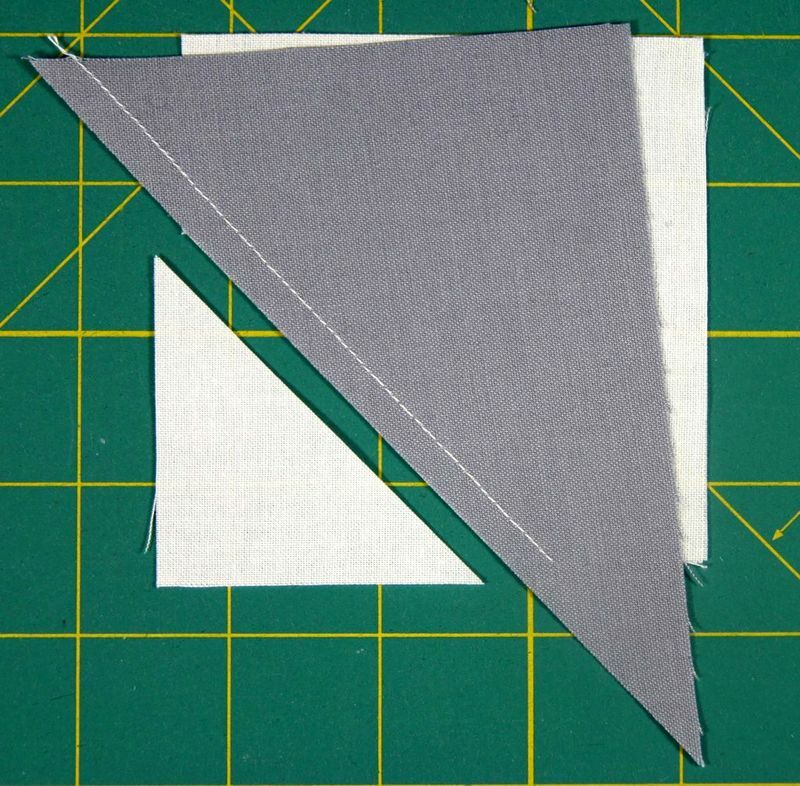 Sew along the edge of the triangle. 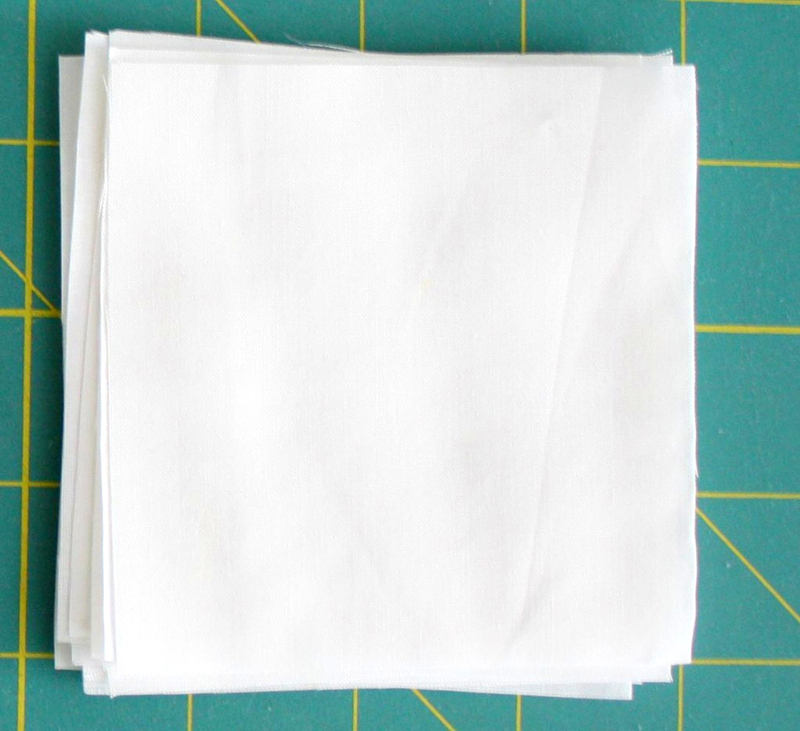 Make sure that you place the triangle with enough space to cover the edges of the white square when folded over. 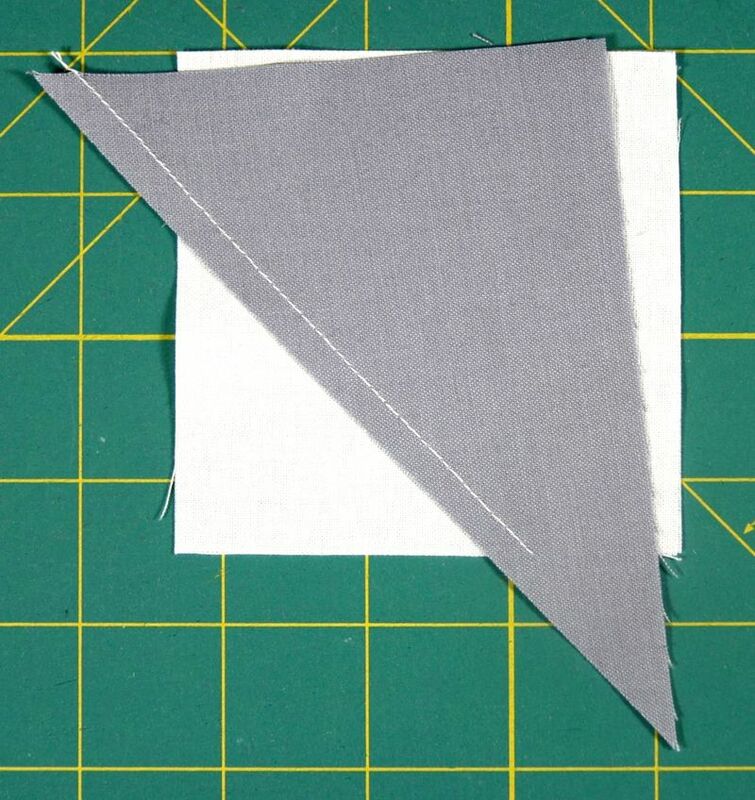 Be sure to allow at least ¼” of space for the seam allowance on both sides of the triangle so that the points of the triangle are not “cut off” after sewing the squares together. 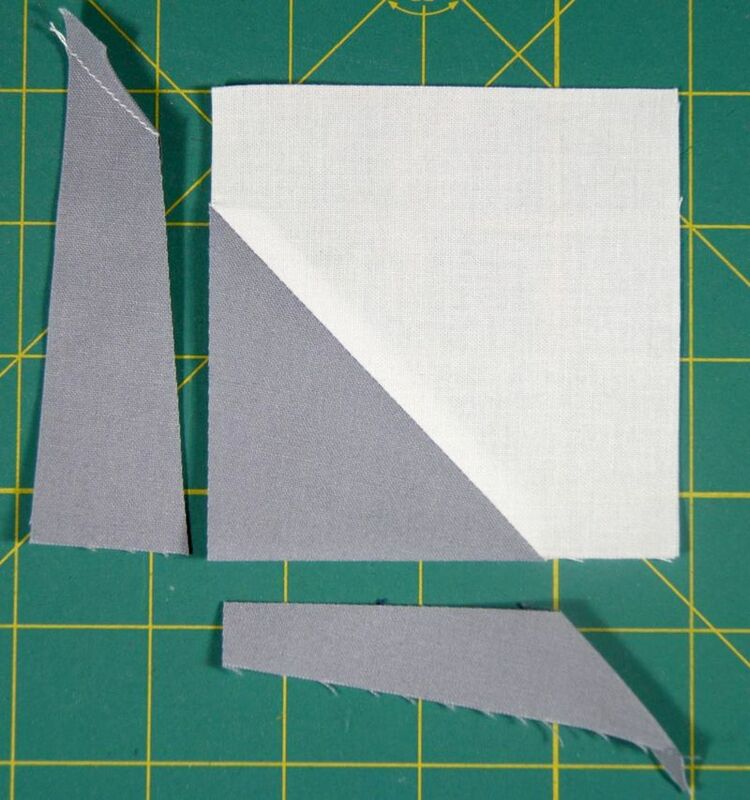 Trim the excess of the white square to a ¼” seam allowance. Press seam open. 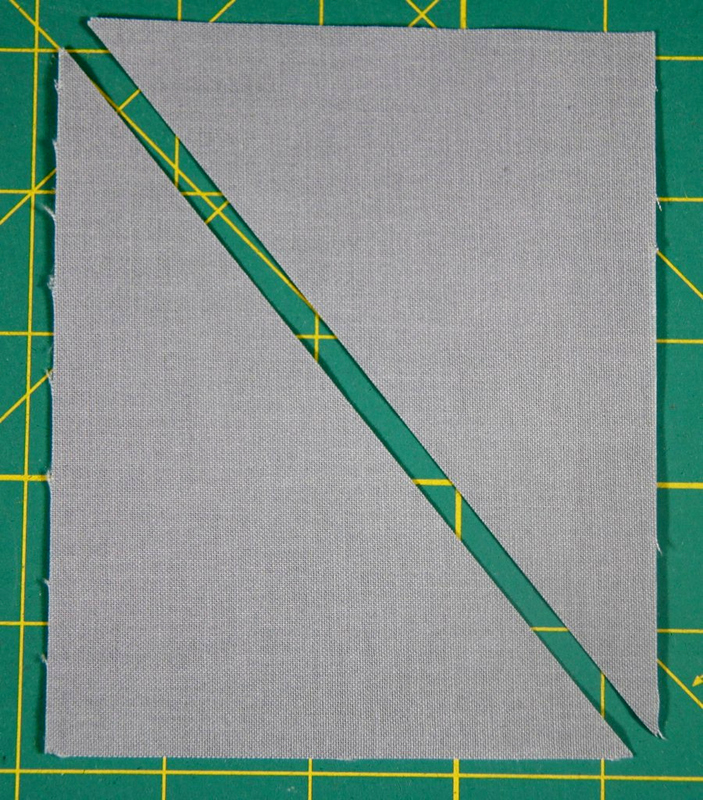 Trim to a 3 ½” x 3 ½" square. Repeat for a total of 16 squares. Lay out 16 squares in a 4 x 4 arrangement. 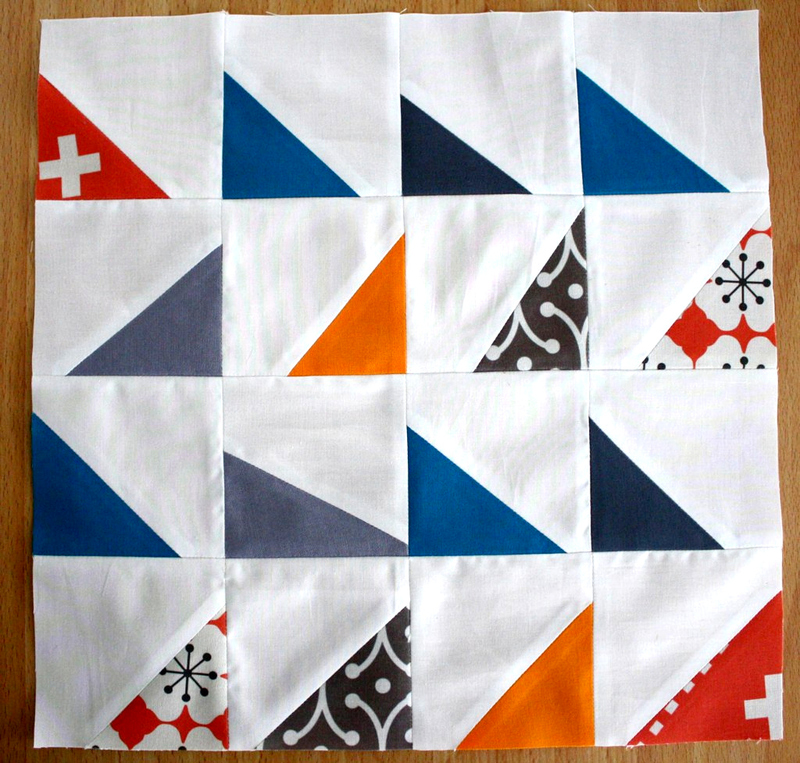 Sew squares together to complete the block. 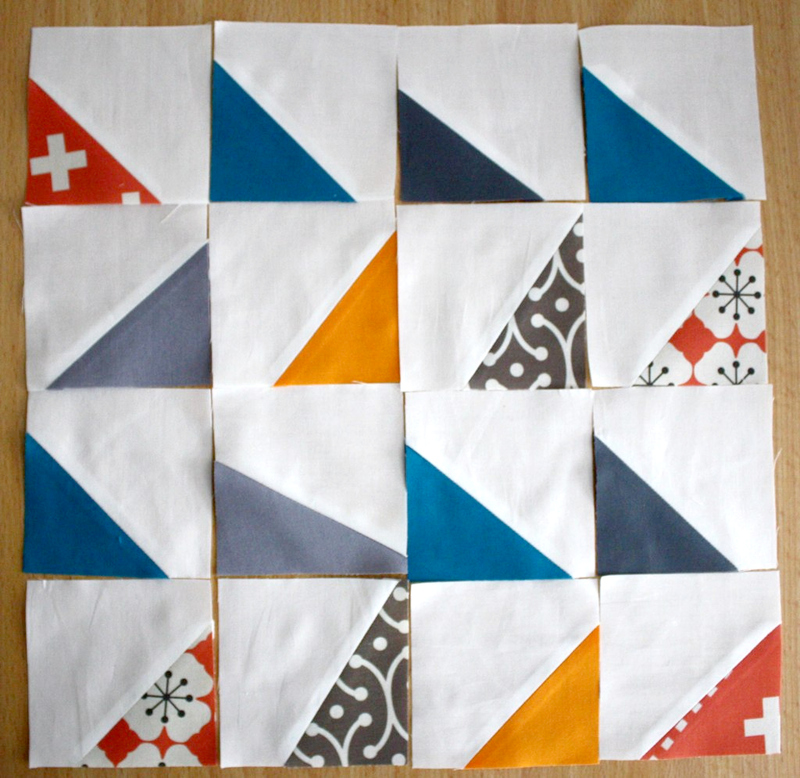 Repeat steps 1-5 to make as many blocks as you’d like for your modern half-square triangle quilt! 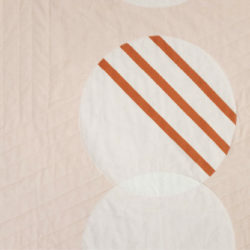 If you make this block or a quilt from this tutorial, feel free to upload a photo to the Mama Love Quilts Flickr group. I’d love to see what you stitch up! « Jump Into A Big Pile Of Leaf Designs!